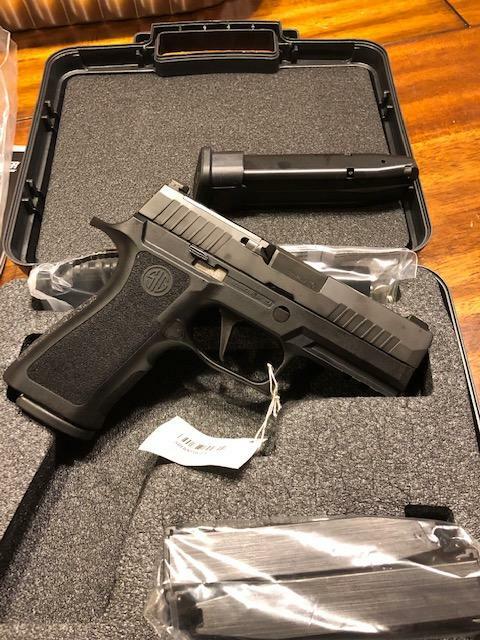 For anyone who hasn't seen these or may be interested in them, my Pro Series Carry arrived today. They have the x carry frames, flat triggers, slide profile IE serrations, like the X Carry. The difference, no slide lightening cut, no match barrel, have stand alone X Ray sights and the RDS is cut for the DPP and R1P. Oooh what a tease, mines on order. It's going to be a looong two weeks. "The very atmosphere of firearms anywhere and everywhere restrains evil interference - they deserve a place of honor with all that's good"
Supposed to be a LE offering only, correct? That's what I've been told, LE/MIL right now. Dumb question - what's the RP1? As I understand it, it’s a Romeo 1 with the mounting footprint of the Leupold DeltaPoint Pro. I received my fullsize today. But FYI, it does not have the exposed screws on the RDS plate like those pictured on the carry versions, so it would have to be removed from inside the slide like other versions. The rear sight has the square notch, not rounded. It's production date was last month, 1/19. 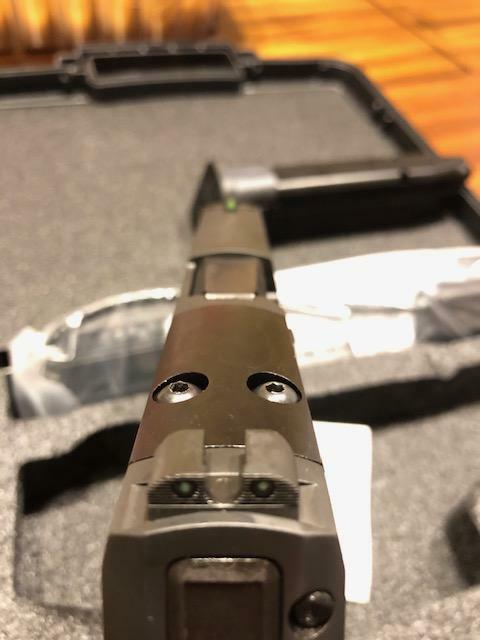 Are the sights and plate separate?, or is it using the M17 rear plate with the sight and plate combined. Production date on mine is also 1-19. 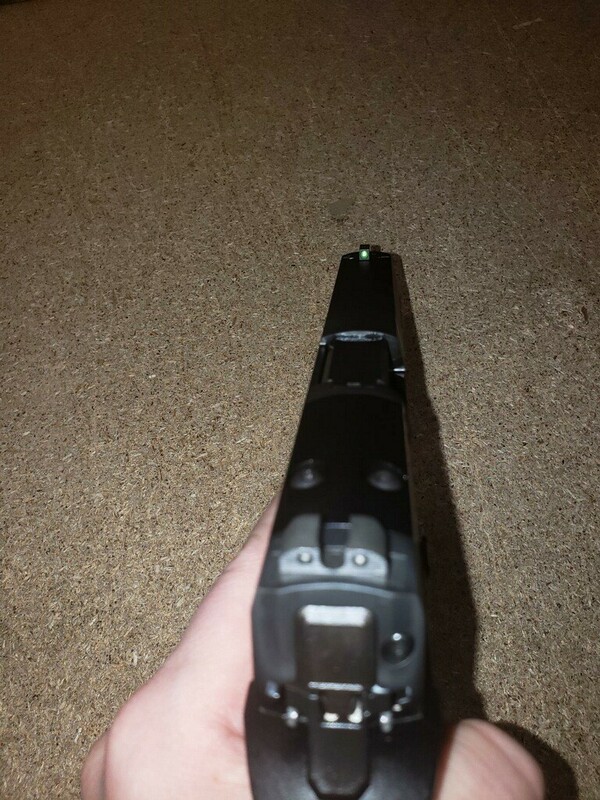 My understanding from Sig is the screws on top were done for a reason, if they come loose during extended shooting, they won't possibly cause problems internally. The New revised 320 VTAC also has the same plate with the screws on top. I wonder how many version of this pistol are there. This is the full sized version my LE dealer has currently. 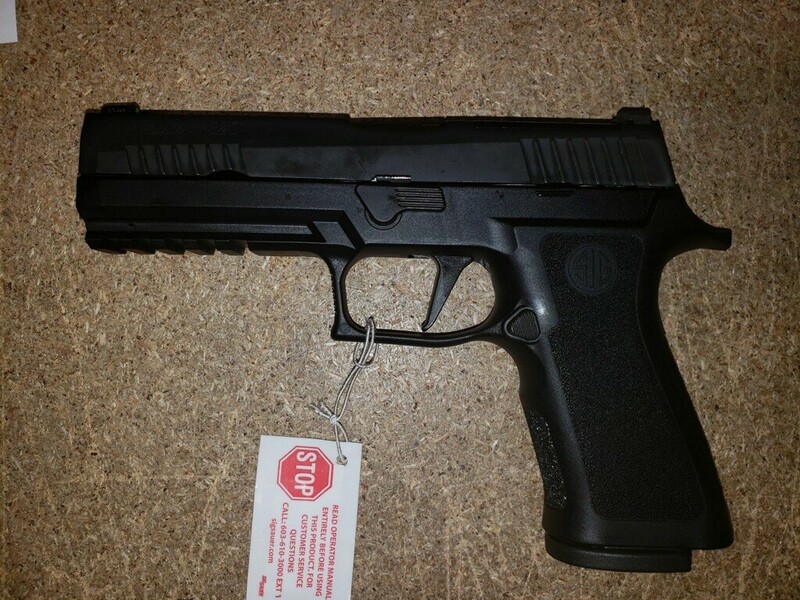 This is the picture of what was hinted at being one of the pro series pistols as well. I think there are actually three versions of the Pro. This image being the version with the original style sight plate, and the shortened dust cover. I haven't heard or seen anything else about this version since I received the picture early last year. I suspect Tonydec may have this version. Looks good! I’m looking forward to trying one these. Finally...I was waiting for these. Where can they be found? Google has not been kind to me lately. And, how do these compare spec-wise with the M17/M18? As Texaspoff said you probably have the older version of this gun. Last year, long before the pro was announced there was a LE version of the X-Carry and Fullsize pistols. I know this because I almost bought one. The slide had the rear sight built into the optic plate like an X-Carry or X-Five. The new version of this gun (Pro Series) has the rear sight in its own dovetail. Here are a couple of sites, Osage lists them as the X5, but according to the SKU they are the X Pro. Both list the specs so you can compare. Yeah those Sku# are for the Pro series guns even though the pictures are of the older versions of the X series. Yeah, there doesn't seem to be a whole lot of pictures available for this pistol. I ordered the full size instead of the carry, I'll post some pics when it gets here. What are your thoughts on the Carry vs. Full Size on these new ones? I tend to lean toward Carry size in most guns due to balance point and how quickly the sights return...but the full size would make sense with a weapon light. 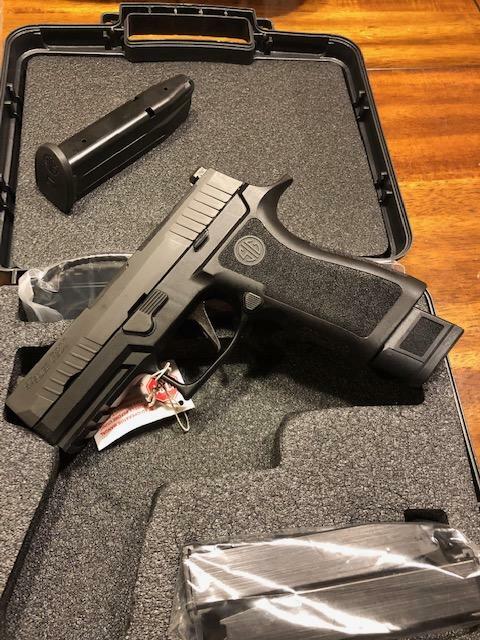 For me it's personal preference, I just prefer a full size pistol for duty carry, they point more naturally for me and I tend to shoot more accurately with the full size. Off duty I carry my 365. There is nothing wrong with a carry size pistol, I carried a P229 in 40 for several years and then went to a P220 in 45. 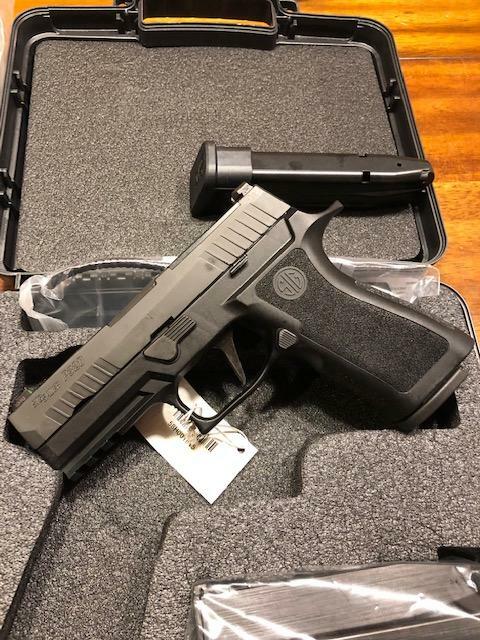 This 320 will be my first full size striker fired pistol.